The farmer’s market at the Embarcadero in San Francisco is spectacular! 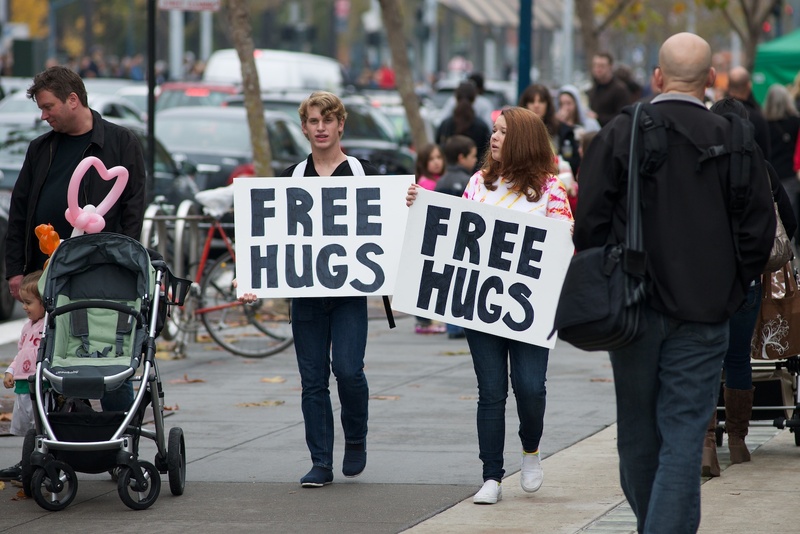 Anytime we are visiting the city, our Saturday morning includes a round-about walk that lands us in the midst of the the most dazzling display of organic veggies, fruit, breads, flowers, cheeses, nuts, and so much more…and today we sampled all of it, including free hugs. 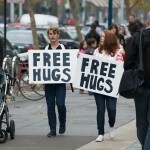 We saw these two young adults coming towards us on the crowded sidewalk, and the young man caught my eye and smiled…and asked, “Would you like a free hug”? There was only one answer, and yes it was a yummy hug, during which he told me that he and his friend were simply sharing the love. Simple, joyous, and oh so sweet. "When my husband of 34 years died I lost my interest in cooking. Instead I began relying on quick frozen organic entrees and dinners. After three years I decide to improve the quality of my diet, so I contacted Robin Mallery. Robin helped me create a more nourishing and healthful diet that took my busy teaching and consulting schedule into consideration. It was a joy to work with Robin. She is knowledgeable, supportive, intuitive, and warm. I highly recommend her as a Heart Healthy Coach.